Dying to improve your golf game? Now’s your chance… the winner of this raffle item gets a round of golf for four people at Mountain Laurel Golf AND golfing lessons. 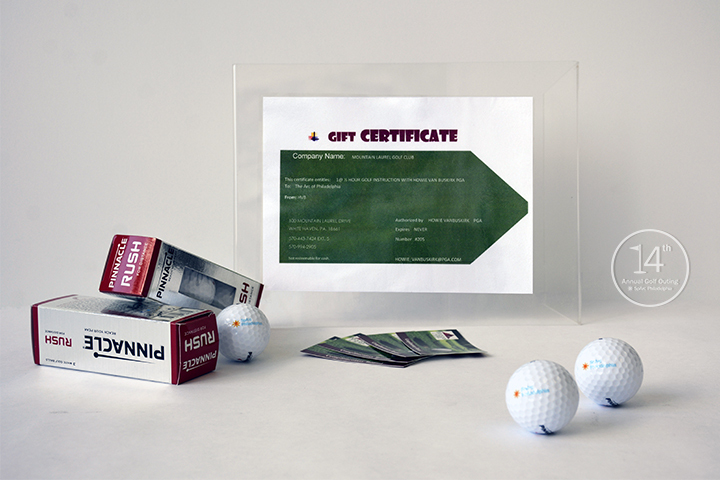 Basket includes: Round of golf for four (4) and golf lessons for one (1) at Mountain Laurel Golf.